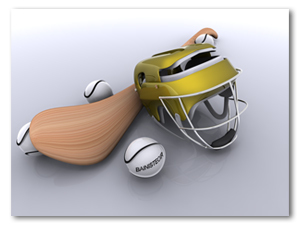 Tailteann Games’ designers made sure that Bainisteoir - Hurling©'s user interface was logical and easy to follow with all relevant game information readily available. Furthermore, the Tailteann Games’ team appreciated the pace at which Bainisteoir - Hurling© must be played for optimum enjoyment and took such into account during the game's programming stage. Original artwork was created to represent the colour and excitement of the inter county hurling scene. 68 original team kits and county crests were designed as well as 3D stadiums, players, helmets and hurleys.